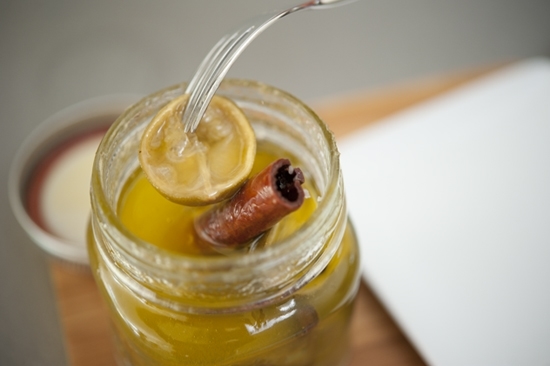 Sometimes in the colder months, we need a little spice in life to keep things lively. And sometimes when I cook in these months, I get into a rut and feel like I’m making the same things over and over again. 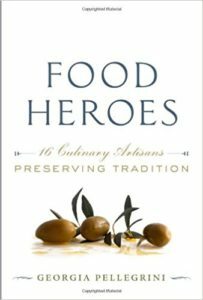 What I love about this recipe is that it is an instant way to add intrigue to any of the dishes in your standard repertoire. 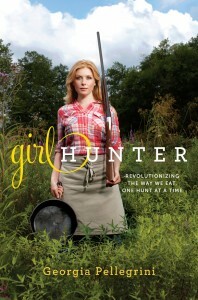 Have a favorite chicken or fish or pheasant dish? Add these and it will turn into something entirely new. 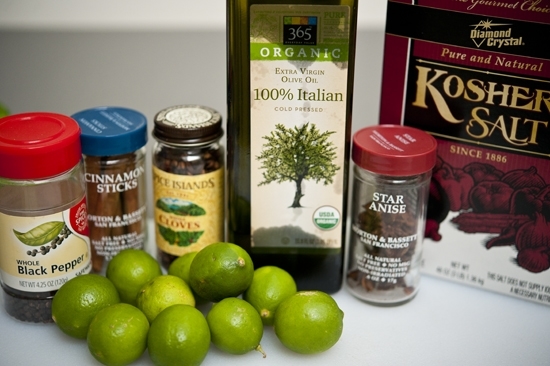 You will need: Key limes (or Meyer lemons or any other citrus you’d like to try), black peppercorns, cinnamon sticks, cloves, star anise, olive oil, Kosher salt. 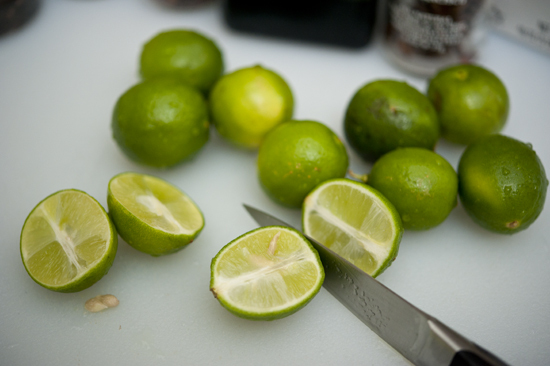 Slice the limes in half. You can even cut them in quarters or any shape you please. Place them all in a bowl and squeeze several of them to add juice to the bowl. 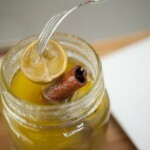 I cured about 5 key limes and turned the rest into juice. 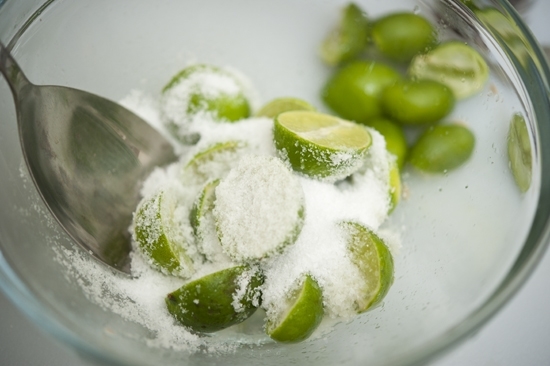 Toss them all in a bowl with the lime juice and Kosher salt until evenly coated. 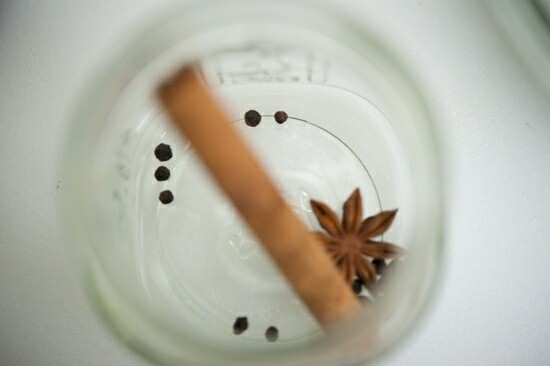 Next, make an incision in each half with the tip of a paring knife and insert a clove into each half. 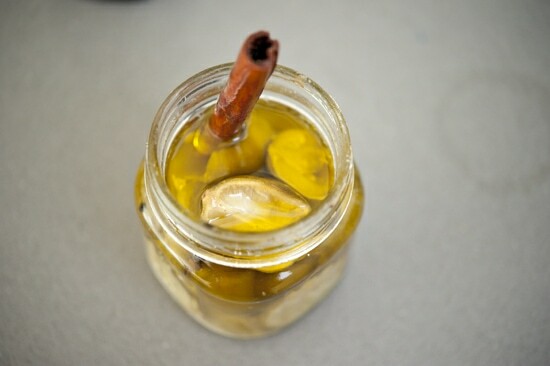 Add all the contents of the bowl into the glass jar. 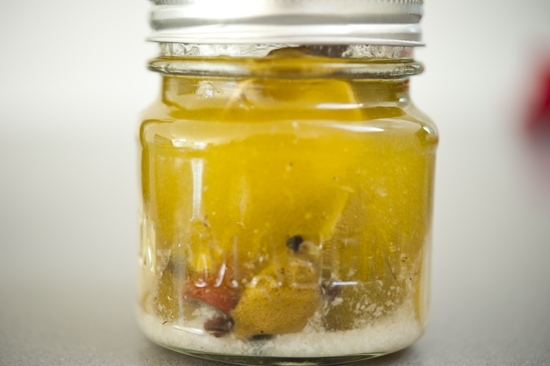 Seal the jar with a lid and allow the key limes to ripen at room temperature for 7 days. 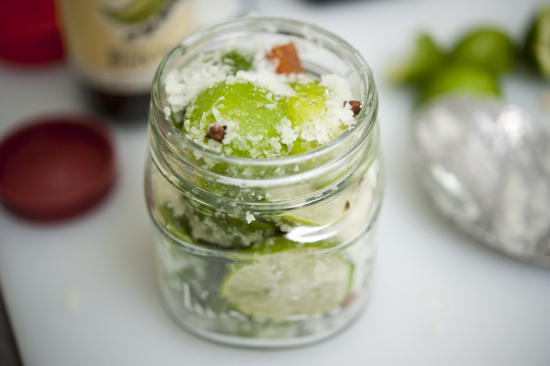 Shake daily to distribute the salt and flavorings. After 7 days, they will look like this. 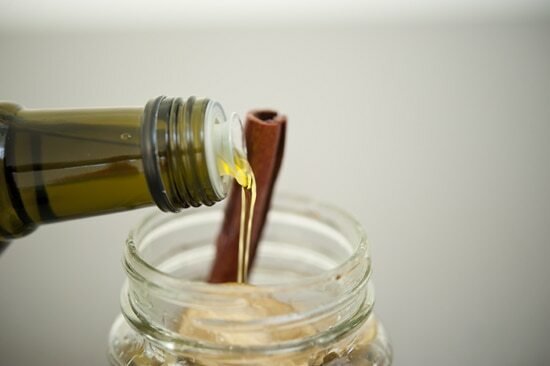 Get out a nice finishing olive oil. Pour it into the jar until filled below the rim. It will be golden and beautiful. And you will age it 3-4 weeks before using it in all of your dishes. 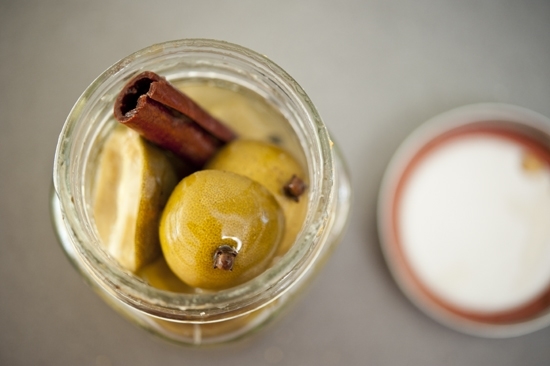 You can store this jar in the refrigerator for up to 6 months. 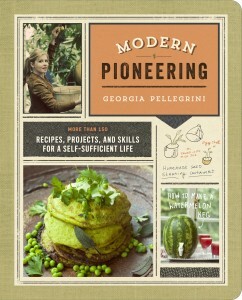 And whenever you’re craving a little intrigue in your stews and braises, this will be your answer. Just one in rice, or couscous, or chicken tagine will make your heart go pitter patter. 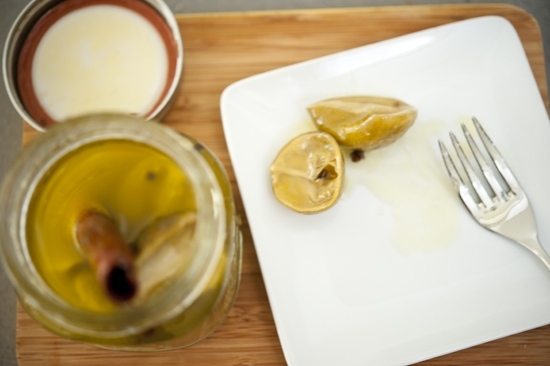 And p.s., you might like to try these Preserved Meyer Lemons also! 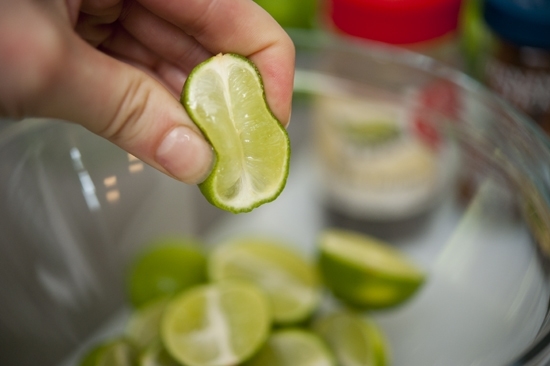 Wash the key limes well and slice in half. Toss in a bowl with key lime juice and salt. 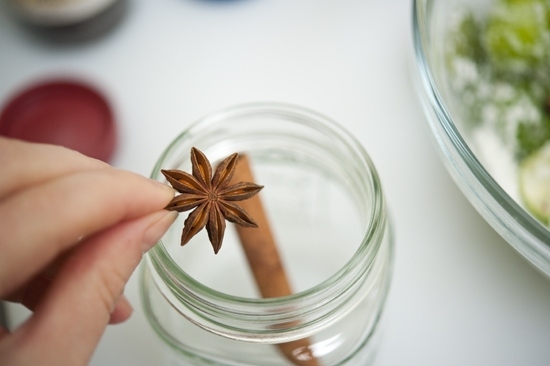 Make an incision in each half with the tip of a paring knife and insert a clove into each half. 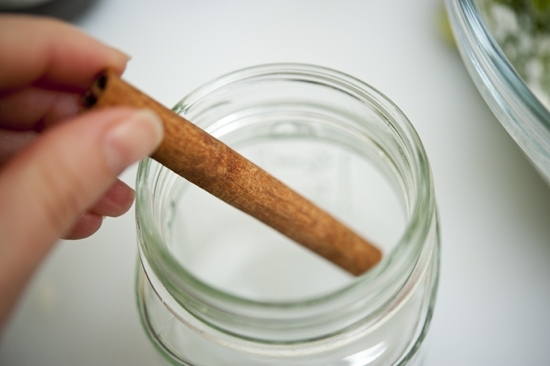 Pack the cinnamon stick, peppercorns, start anise, and all the contents of the bowl into a glass jar. 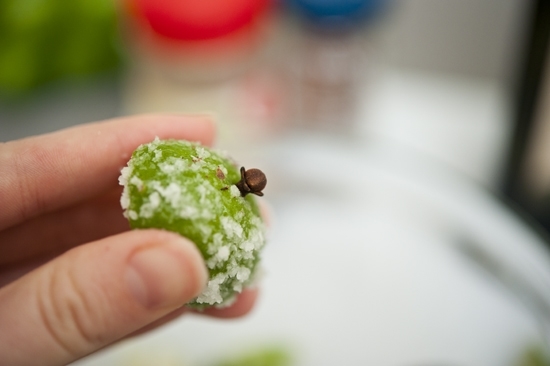 Seal and allow the key limes to ripen at room temperature for 7 days. 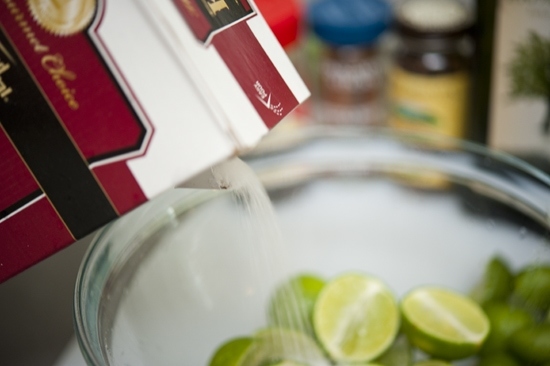 Shake daily to distribute the salt and flavorings. 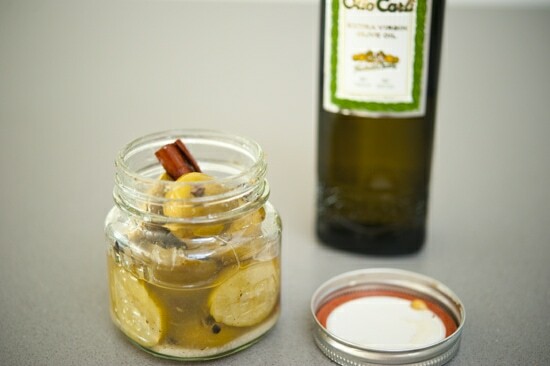 After 7 days, add the olive oil to top the jar and age 3-4 weeks before using. Store in the refrigerator for up to 6 months. This is a great post. I love lemons. 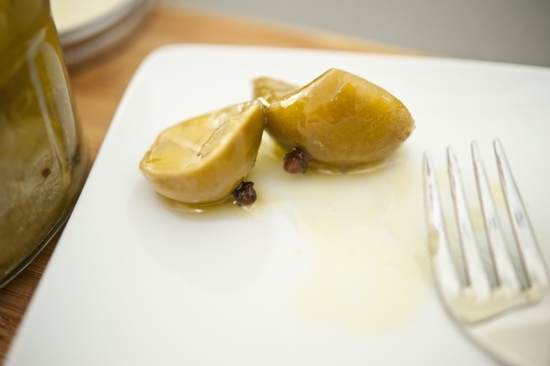 Thanks for sharing the process of preparing “Spiced Key Limes in Oil”.